The elegant and delightful, 4-star Planos Beach Aparthotel is in an ideal location where guests can enjoy every second of their holiday. Whether guests want to spend their time lazing around the pool or exploring the lively Zakynthos Town, they will find it all right here. This family-friendly hotel offers quality accommodation, on-site dining and a gym. There is an outdoor pool and sun terrace that is ideal for adults and children while there are plenty of bars, restaurants, shops and beaches located within touching distance of the Planos Beach Aparthotel. For guests looking for a simple and affordable holiday then this is a perfect destination for them. Guests can explore the beach which is just 500m away while there are many more beaches in the area some of which offer water sports and pristine sands. 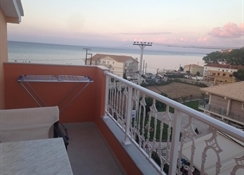 Surrounding the hotel, guests will find a range of attractions including monasteries and quaint town squares while Zante Water Village is perfect for those looking for a fun-filled day out. When it comes to dining, guests can take their pick from a range of restaurants and bars all within easy reach from the hotel. The airport is 10km from the hotel. 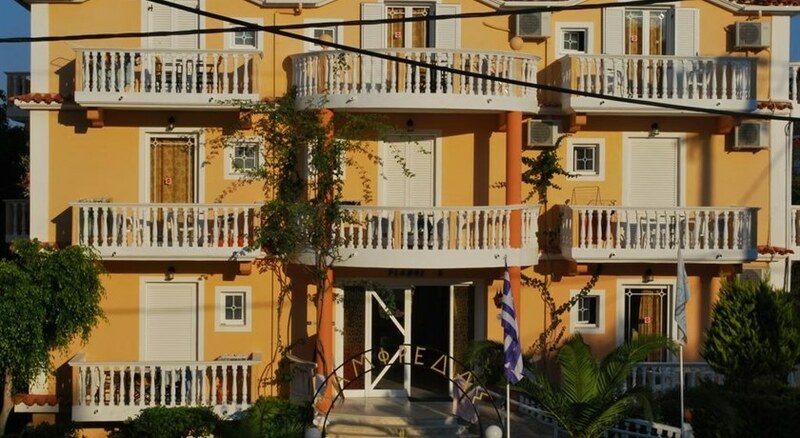 The hotel consists of Studios and Apartments where guests can relax and unwind surrounded by charming colours and subtle features. Each room ensures that guests have all that they need as they come with air conditioning, TV, private bathroom, fridge, kettle and hairdryer while apartments come with a sofa bed, separate bedroom and a kitchenette. For a unique dining experience, guests can head to the rooftop restaurant where they can explore a choice of Greek dishes and international meals. If guests are feeling peckish during the day, the snack bar serves up light bites and refreshing beverages. Of course, guests can always create their own dishes in the room or if they prefer to be waited on then they can explore the range of restaurants and bars that cater to all tastes and budgets just a short walk from the hotel. The outdoor pool and surrounding sun terrace invite guests to spend their days taking things easy and soaking up the sun. The little ones also have their own pool as well as a playground that will keep them busy while there is a sauna and a gym located on-site. For excitement and thrills then the water sports at the local beaches are sure to get pulses racing while the water park is the ideal place for a great day out.